Currently a rental, this property has tons of potential. Located in a gated community, this home, is the size of single family home without all the maintenance of one to include Snow Removal and Exterior Maintenance. 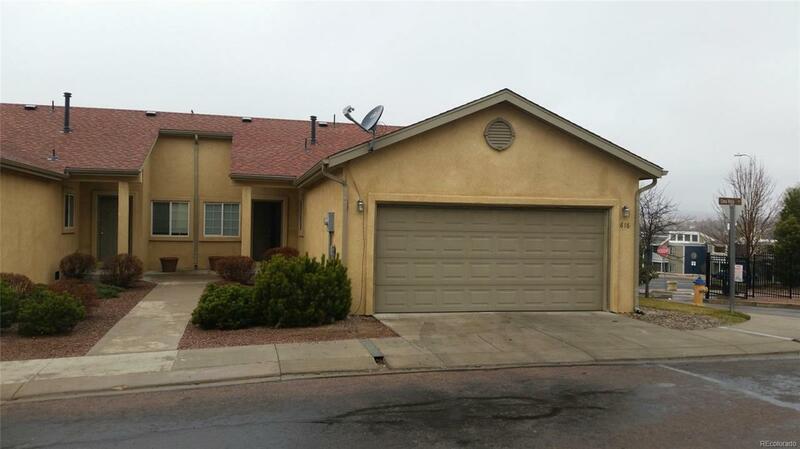 Centrally located and minutes from Peterson AFB, Fort Carson, and I-25. Vaulted ceilings and great layout and large garage make this a great place to call home.The nice price for an ample amount of square footage will keep you within you within your budget while giving you plenty of room. Enjoy it as your home or continue renting it out as an investment. Stop renting and move into your own home.